The sun here in central Florida is gorgeous most of the time, but sometimes it can get pretty intense. When the strong heat combines with high humidity, it’s a recipe for feeling overheated, sluggish and tired. Certain people are affected more than others, including the elderly, small children and those who have been ill. Well-working air conditioning is a necessity here, making the number of a professional Lake Butler air conditioning repair service delivered by DC / AC Air Conditioning and Heating a must have phone number that everyone locally should have on their speed-dial. When things get hot, there’s not a minute to waste once your air conditioning system shows signs of not working the way it should. Professionals in the AC repair Lake Butler needs are standing by at DC / AC Air and Heat and ready to get to work whenever their services and expertise are needed. It’s good to have local, trusted, high-quality air conditioning repair just a phone call or a few clicks away. Once you do call for help, an expert technician will be out to do a diagnostic evaluation of your system and to let you know exactly where your problems are and what can be done to fix them. You’ll get the free AC repair estimate Lake Butler depends on to be fair, honest and competitive. We believe you’ll be impressed with the professionalism, integrity and work ethic of all of our technicians. 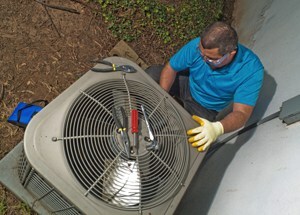 We select ace technicians from the best in the field to work on your AC system. An HVAC company with an A+ Better Business Bureau rating like DC / AC Air Conditioning and Heating has earned didn’t get that reputation by chance. It’s acquired through hard work and professionalism, and by 100 percent dedication to total customer satisfaction. 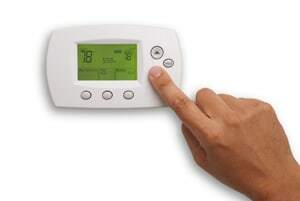 Our technicians provide the affordable AC repair Lake Butler needs professionally and comprehensively. We pay attention to the little things like always keeping our work areas neat and cleaning up after the job is done. We have total respect for our customers time, which means that we arrive exactly when we say we’ll be there to do your AC work. We strive to cause as little disruption as possible to your daily routine because we know that life keeps going on even when you need to have repairs done on your air conditioning system. We believe that the AC repair costs Lake Butler residents and business owners are charged should always be competitive and reasonable. The AC service Lake Butler needs is provided by experts with experience, exceptional attention to detail and a focus on 100 percent customer satisfaction. All residential AC repair Lake Butler FL needs and commercial AC repair our business neighbors need is provided by experts with over a quarter-century experience in keeping Lake Butler homes and businesses cool and comfortable. We know you’ll appreciate the difference true professionalism makes. We’ll always arrive when we say we’ll be at your home or business, in a well-stocked vehicle, ready to get to work on restoring your AC back to its cool and comfortable best condition. When we provide AC repair in Lake Butler Florida, we pay attention to important things like working cleanly, with as little disruption as possible to daily routines. The expert AC repair Lake Butler needs is provided by DC / AC Air Conditioning and Heating with a noticeable emphasis on excellence. We provide thorough, understandable explanations for any problems you might be experiencing with your system and take the time to truly listen to your concerns and to answer all of your questions. We want every decision you make to be an informed, smart decision and a good solution for your needs. Our friendly specialists will explain all the nuances of a new system, if it’s found that your system needs to be replaced. Ultimately, we want you to have complete confidence in us and in all of the helpful information you’re given. We take pride in excellence and in maintaining the stellar reputation that we’ve worked so diligently to earn. Not only have we received an A+ rating from the Better Business Bureau, we were also named a Best AC Company by the Orlando Sentinel Best Bets in 2017. We know that these are rare and unique honors. We also treasure every positive review we get from our satisfied customers and every recommendation they make to their friends, family and co-workers. The AC service Lake Butler depends on comes to you from an awarded company, completely dedicated to our customer’s total satisfaction.